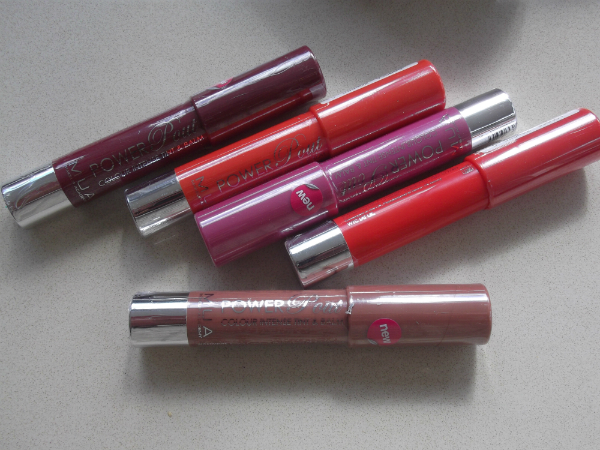 I’m totally impressed with the MUA Power Pout sticks – they’re as good as any other – quite glossy and stainy so you keep the colour for a good while and have a slightly minty taste. The shade line up is (from nearest to furthest): Irreplaceable, Crazy In Love, Justify, Runway and finally, Rendevous. I’m missing one, Broken Hearted in a beautiful raspberry shade. These are £3 and I am not quite sure how they are doing them for the price, compared to other sticks… I’d totally recommend them. Oh, and I am going to mention the elephant in the room.. Clinique Chubby Sticks. My heart lies with Chubbies because they were the first and they’re beautiful – I imagine the formula will be quite different and yet the effect is pretty much the same. But while I was swatching the MUA sticks, I was very clumsy and knocked the top off one of them which meant I had to turn the bottom end to make more come out of the top. I was quite surprised at just how little actual product goes into a stick. I compared the two – there is exactly the same amount of product. For some reason, not that I had thought about it much, I had assumed that the colour went all the way down the pencil. Nu-oh. Not even nearly.. look! What do you think? Did you, like me, assume there would be far more product in these? The MUA Power Pouts are on line HERE. Thank you for swatches! – £3 bargain! Lovely post! 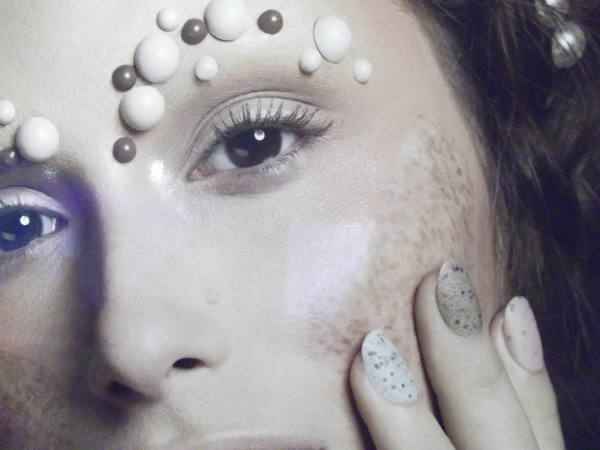 I didn’t know MUA even did these! 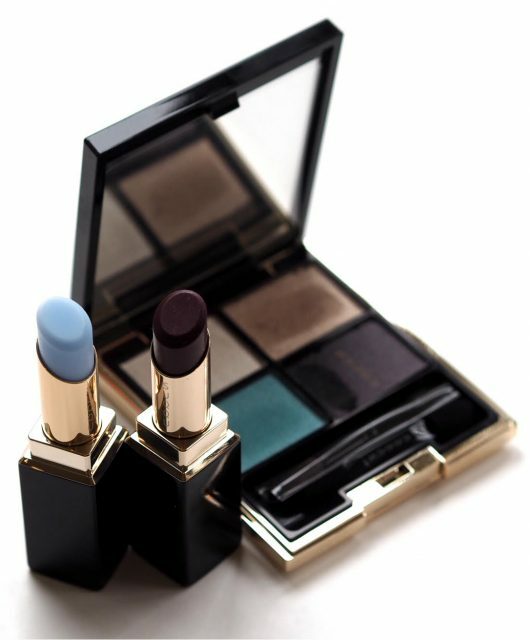 I definitely would like to try them, although i do love the Clinique Chubby Sticks too! i love the fourth one along, great colour! 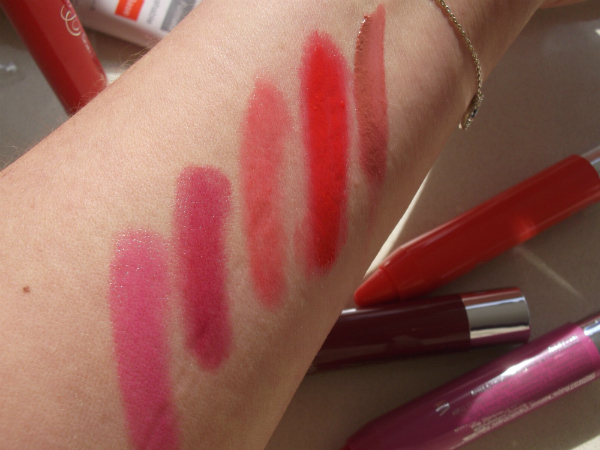 Great review, thanks for the swatches! Pretty annoyed that these came out just after I’d put in an order (I’m based in Australia), as I’d definitely have snapped a few up. 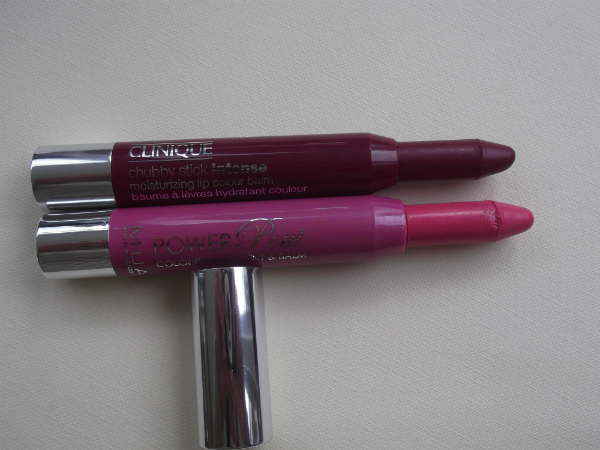 I love my Clinique chubby sticks and Revlon Just Bitten Kissable balm stains…Loving the look of Irreplaceable, Crazy In Love and Rendevous. I’m rather impressed that you mentioned the amount of product, as all the other reviewers have only raved and not looked at the product closely, I find. It’s something I noticed that MUA and cosnova (Catrice, essence) are not as open with the amount of product that goes into the packaging. It’s stil dead cheap and wouldn’t trade for the world, but it’s something where improvement in clarity could be advised. Interesting, all the reviews I’ve read on sticks by any brand mentionend that the product you get is way smaller than the packaging. It’s not something that goes with the high street brands but any brand I feel! As if Clinique actually disclosed “hey yeah, lovely product, but you only get half a stick actually! Please buy anyways for a ridiculous price, kthx.”…. And thanks for the swatches, There are so little swatches even though everyone in the UK seems to have bought them yet. I love the colour range. 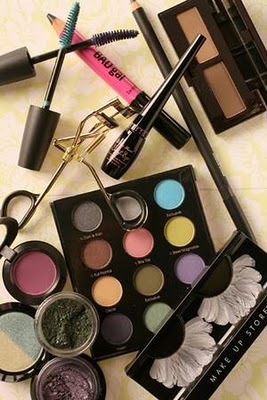 I have a Revlon one and love it! I’ve got 6 of the Revlon ones, 1 more to get, but these will definitely all be bought too. What are these like in relation to the Revlon version? Is this more rebalelling at work? Seems odd that three brands would have identical packaging.